Montgomery Sole is a square peg in a small town, forced to go to a school full of jocks and girls who don't even know what irony is. 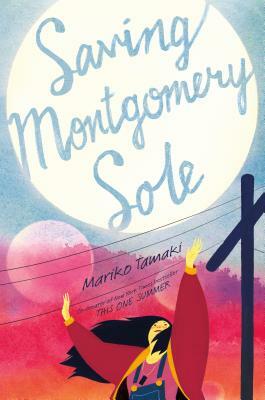 It would all be impossible if it weren't for her best friends, Thomas and Naoki. The three are also the only members of Jefferson High's Mystery Club, dedicated to exploring the weird and unexplained, from ESP and astrology to super powers and mysterious objects. Then there's the Eye of Know, the possibly powerful crystal amulet Monty bought online. Will it help her predict the future or fight back against the ignorant jerks who make fun of Thomas for being gay or Monty for having two moms? Maybe the Eye is here just in time, because the newest resident of their small town is scarier than mothmen, poltergeists, or, you know, gym. Add your review of "Saving Montgomery Sole" in comments!